Florida’s Palm Beach County covers 1,969.76 square miles of beautiful South Florida oceanfront and was home to an estimated 1,356,545 people in 2012, according to the United States Census. Palm Beach County is the largest country in the State of Florida and the third largest in population (Miami-Dade County and Broward County ranking first and second, respectively, in number of people living within their jurisdiction). Unintentional poisoning hurts lots of people in Palm Beach County, Florida, every year. What is an unintentional poisoning? It happens when someone, no matter their age, either eats, inhales, injects, or absorbs a substance accidentally that is harmful to the human body either because it is toxic or because it becomes toxic when took much is taken in by the body. Across the country, poisoning injuries are at epidemic proportions with accidental, nonfatal poisoning rates increasing in every age group. While Americans between the ages of 20 and 50 suffer most often from non-fatal poisoning injuries, in the past few years there has been a rapid increase in poisoning injuries happening to those adults over the age of 60 years old. According to the Centers for Disease Control, each day in the United States, 2277 people go to their local emergency room seeking treatment for poisoning injuries. Sadly, 87 of these ER visits will end in tragedy as these poison victims will die as the result of their unintentional, accidental poisoning. 79% of fatal poisonings were unintentional, 17% were suicides, and 4% were undetermined; less than 1% of fatal poisonings were homicides. 46% of non-fatal poisonings resulting in hospitalization were self-inflicted, 41% were unintentional, and 13% were undetermined; less than 1% were assaults. Overall, the poisoning fatality rate among males was nearly 2 times higher than among females. Overall, however, females had a slightly higher hospitalization rate than males. Males accounted for 63% of poisoning deaths, but only 46% of non-fatal hospitalizations. Females accounted for only 37% of deaths, but 54% of hospitalizations. Whites accounted for 85% of poisoning deaths and non-fatal hospitalizations combined, Blacks accounted for 11%, and Other Non-Whites accounted for 4%. Non-Hispanic residents had higher rates of fatal poisonings and non-fatal hospitalizations than Hispanic residents. White residents had the highest rate of fatal poisonings. Other Non-White residents had the highest rate of non-fatal poisoning hospitalizations. Black residents and Other Non-White residents had similar poisoning fatality rates. Since 2010, the University of Wisconsin has studied counties across the United States and ranked them according to four health categories: health behaviors, clinical care, social and economic factors and physical environment. This “County Health Rankings Project” identifies both the healthiest and least healthy counties in the nation and correlate basic health statistics into a study of how lifestyle and socioeconomic factors may contribute to the overall health and wellbeing of that community. Given that Palm Beach County has a reputation of being the wealthiest county in the United States, the correlation of health data and socioeconomic dynamics brought some interesting results: of the 67 counties that make up the State of Florida, Palm Beach County’s highest ranking was in health behaviors, where it received a ranking of 5 out of 67, followed by health factors, ranked 8, and morbidity, ranked 12th. Accordingly, accidental poisonings in Palm Beach County may have a different statistical result than other counties in the state and around the country. Comparing rural to urban counties in Florida, the Florida Department of Health found Palm Beach County to have much higher poisoning rates per capita than neighboring rural counties. From the Florida Department of Health’s Bureau of Vital Statistics, poisoning statistics show that in 1993 there were 16 deaths due to accidental poisoning in Palm Beach County, a number that has steadily risen each year since then though 2009, where the unintentional poisoning death rate hit 229 for Palm Beach County (as compared to 2649 for the State of Florida overall). 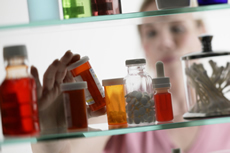 In 2012, 148 people died from accidental poisoning in Palm Beach County, Florida.